When establishing an online presence for bars, bistros and restaurants it is more important then ever that the design and layout of your site display the look & feel of your establishment. Therefore, choosing the right theme for the job is more important than with any other type of web site. Many of the themes selected have the ability to include a menu, as bars keep expanding into food items to cater to hungry socializers. 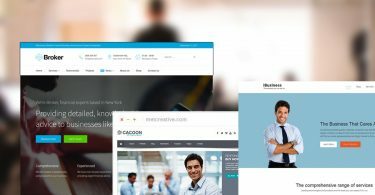 Below you will discover the 20 finest WordPress themes we could find to make selecting the best theme an easy task. 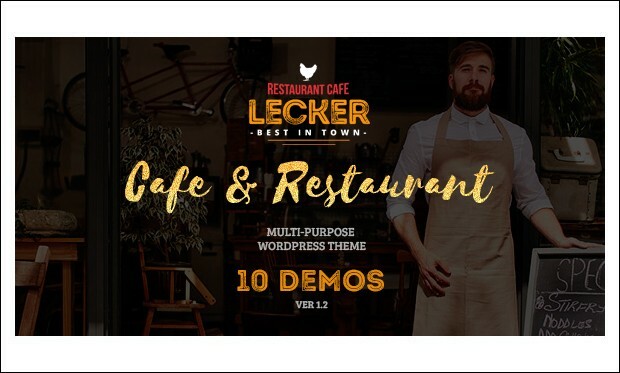 Lecker is the premium and responsive cafeteria wordpress theme that is built with using the advanced features that help in creating the stunning website. 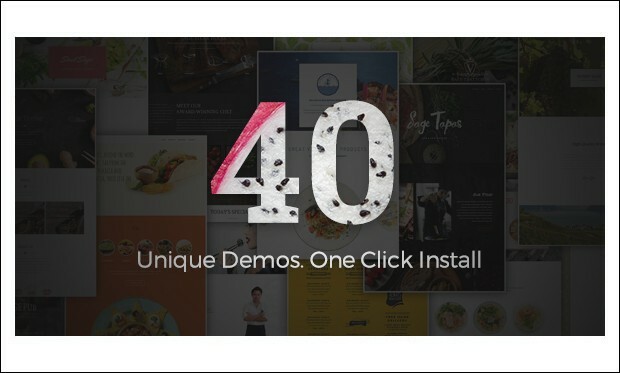 It has some awesome features and built-in homepages for BBQ, Coffee, Asian Cuisine, Burgers & Fast Food, Icecream, Mexican Food, Organic, Pizza, Beer and pub. 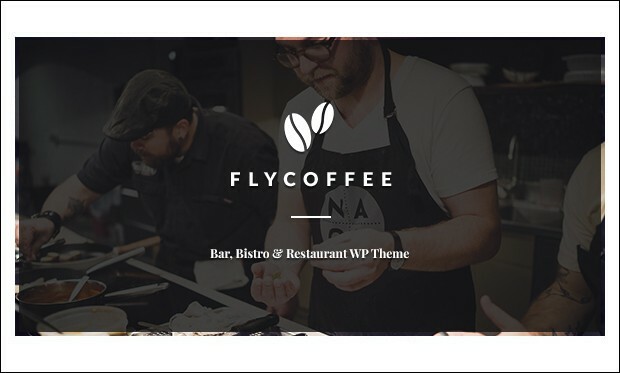 FlyCoffee is the beautiful and fully responsive bar and restaurant responsive wordpress theme that is bootstrap based. It can be used for Restaurant, Bar, Bistro, Cafe, Pizza, Coffee Shop, Fruit, Flowers, Green and more other kinds of websites. It has the drag and drop page builder plugin that helps in the easy creation of website. 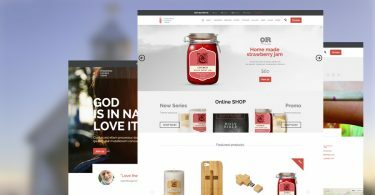 Sage is the premium and responsive wordpress theme that is specially built for restaurants, bars, cafes, bistros and any other eatery businesses. It is very flexible and includes different layouts using a drag & drop interface and tons of pre-built elements. 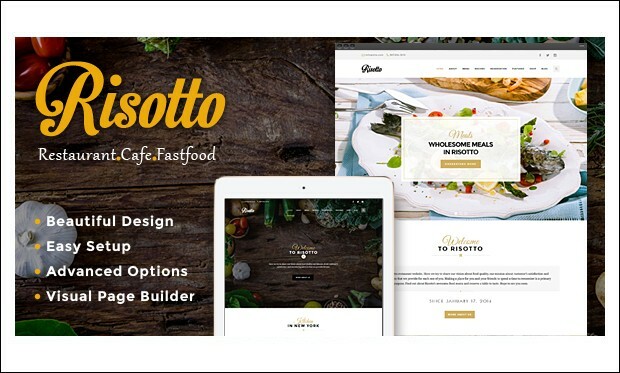 Risotto is the premium and creative cafeteria wordpress theme that is fully responsive, Retina-Ready WordPress theme with Modern Design. It has many advanced features that helps in creating the website that looks pleasing and ideal for cafeteria. 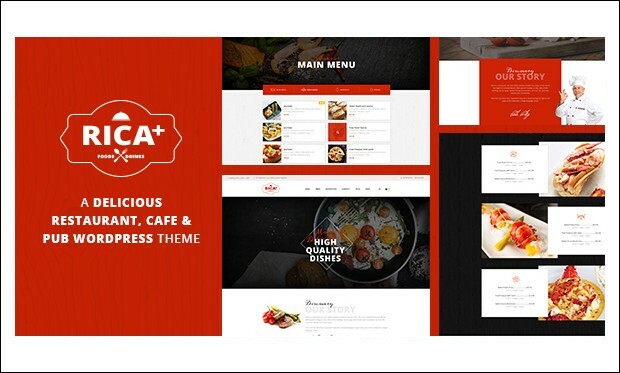 Rica Plus is the responsive and minimal wordpress theme that has the advanced features that help in the easy creation of the websites for restaurants, cafes, bars, clubs, events and anything alike. It has many advanced features that help in the easy and faster creation of website. 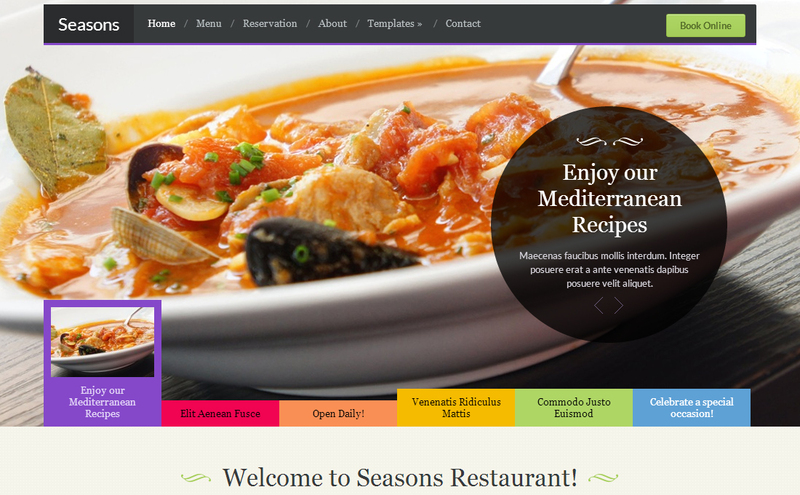 This theme is the perfect solution for restaurants, pubs, bars, wineries or any other type of food and drinks related web site. 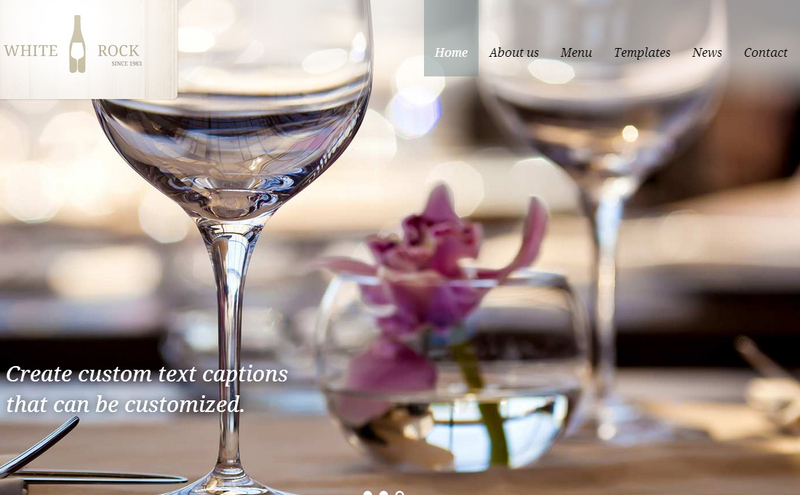 The theme comes with custom administration menu cards (food menu, drink menu) and allows for custom galleries. 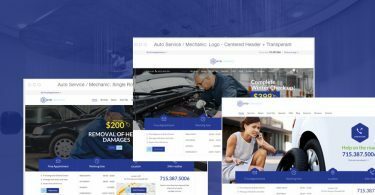 A theme that comes with a whole set of unique features not present in any other WordPress theme. The theme is easy to alter and comes with its own Facebook Fan page. The theme also features an advanced custom calendar, table bookings app and many more amazing features. 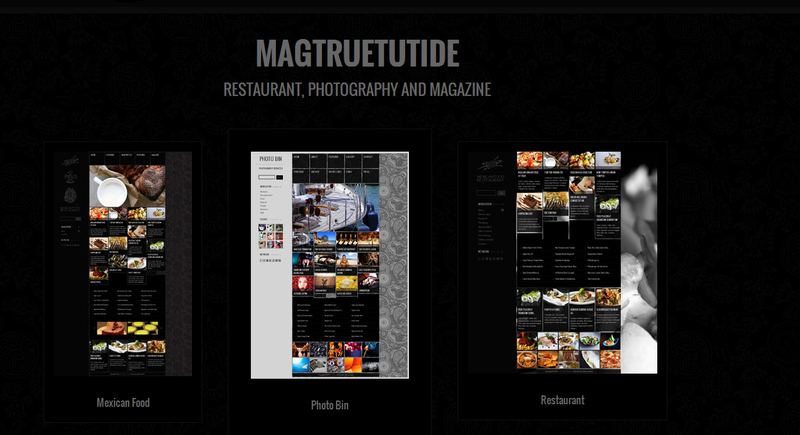 This theme is actually 3 themes in one and geared towards magazines, bars and restaurants as well as being a portfolio theme. The theme is perfect for restaurants, catering or nightclubs. It is easy to tweak & alter, and is jam-packed with features and options. 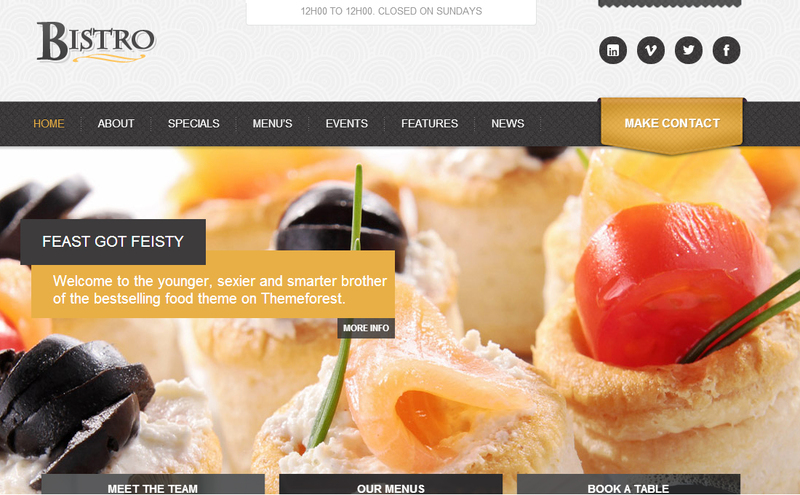 A classy good looking WordPress theme and the ideal choice for presenting your pub, bar or restaurant. Each page can be custom created to best fit the content in a visually appealing fashion. A theme which is extremely easy to modify and ready to run immediately after installation. 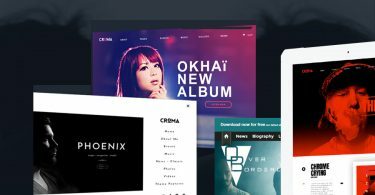 The theme comes with a wide variety of features and options, like a layered slider and comes with its own page builder. The perfect theme for cafés, bars, and restaurants. 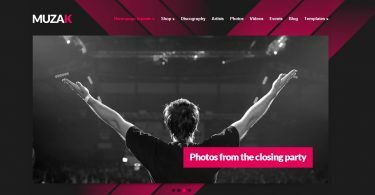 It features a classy slider to showcase promotional content and images in combination with with a stylish “Menu” page which comes with several layout options. The theme also comes with a light box gallery intended to display event photos. Rezo also features full Google Maps integration. 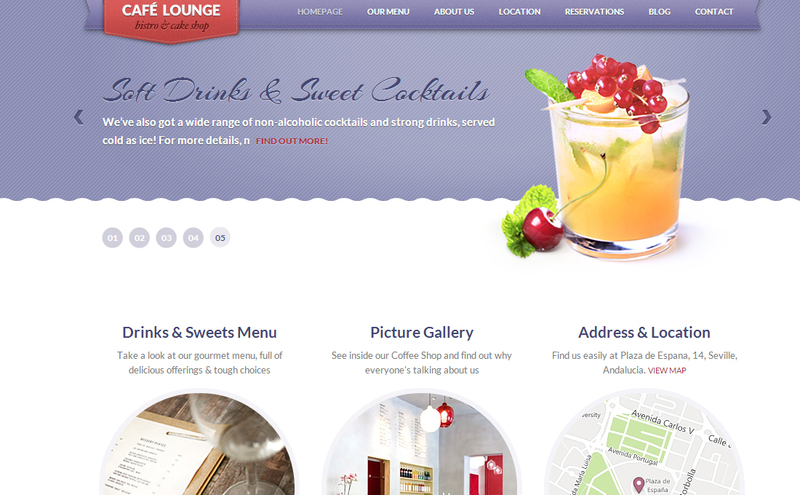 A professional theme for bars, restaurants and café’s. This theme comes with four different color schemes and a fully customizable front page. The theme is SEO optimized and widget ready. Out of the box, the theme comes with several custom widgets. 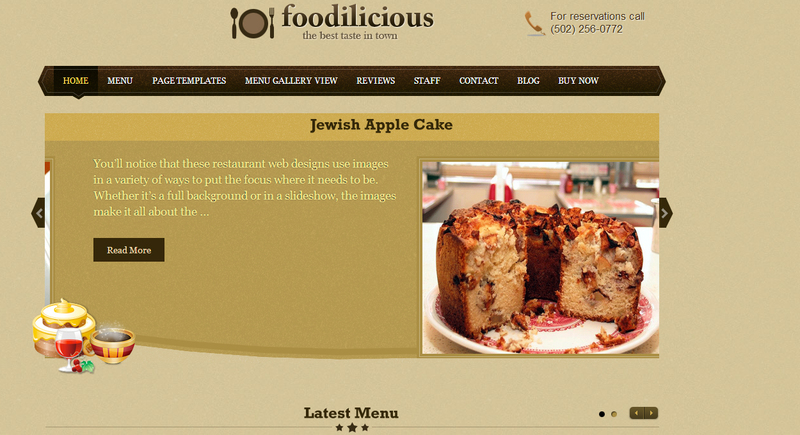 Foodilicious is compatible with all browsers. 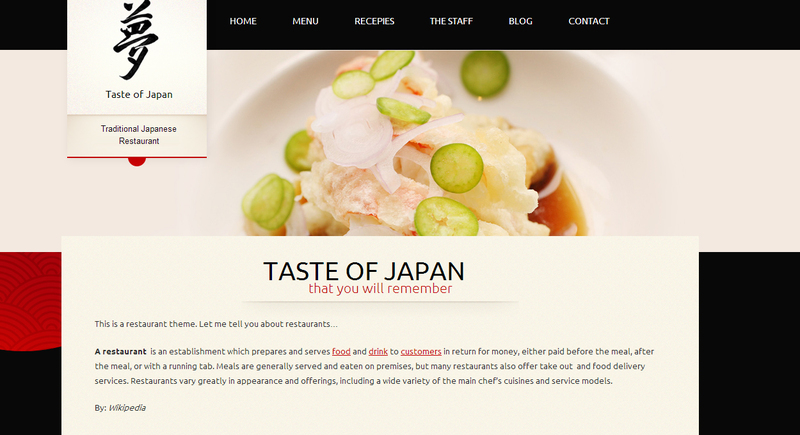 An elegant theme suitable for any food and drinks related web site. 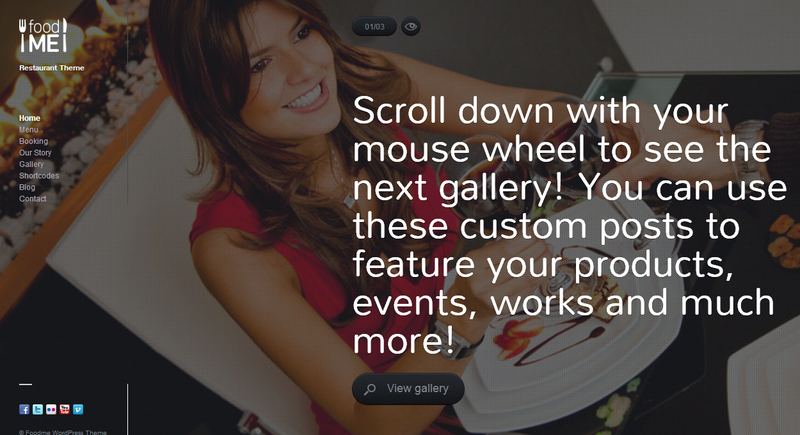 The theme comes with 20 pre-installed skins, which makes customizing on the fly a matter of a few clicks of the mouse. 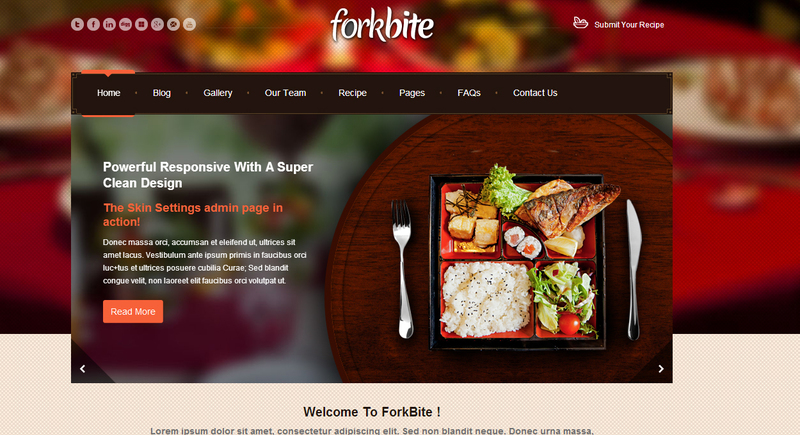 The theme offers custom sidebars for every page and has full screen background support. 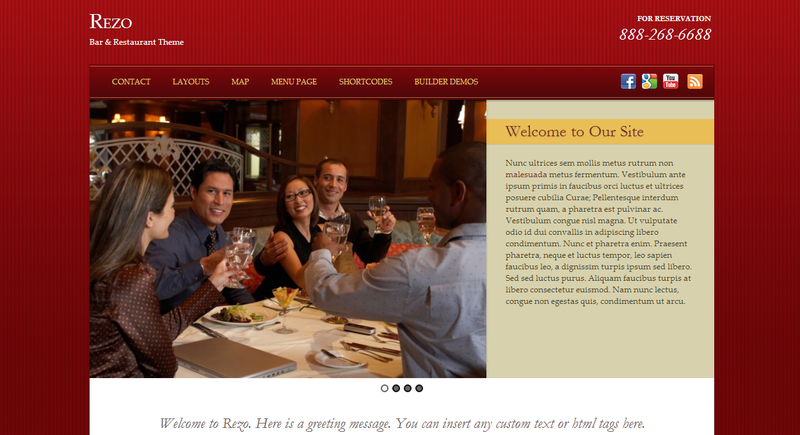 An easy to use theme especially designed for bars and restaurants. The theme features multiple category page layouts, custom widgets and many more exciting features. 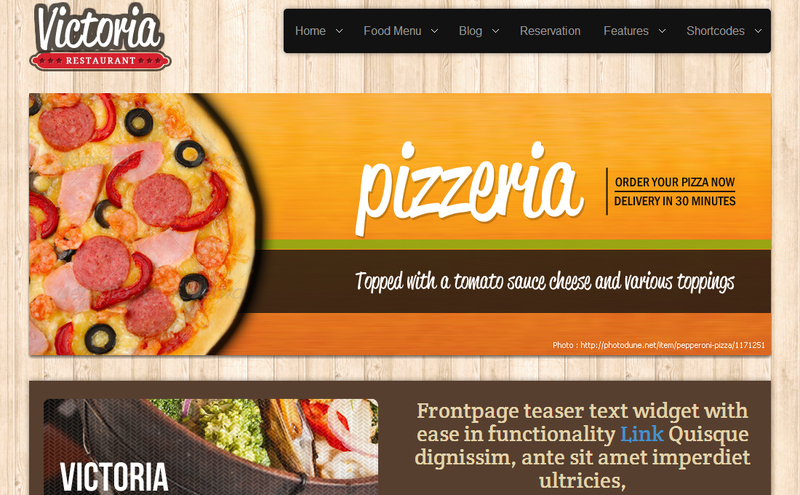 The perfect theme for web sites looking for a food and drinks related theme which can be used right from the start. 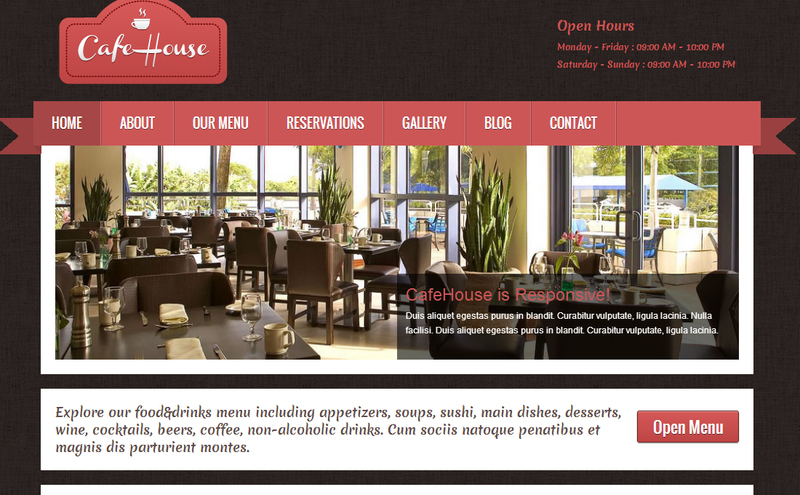 This theme is the ideal the WordPress theme for café and restaurant owners. The theme uses all the latest features, like: Custom Post Types, multiple Skins and Color schemes. The theme comes with an extensive admin panel for easy customizing. 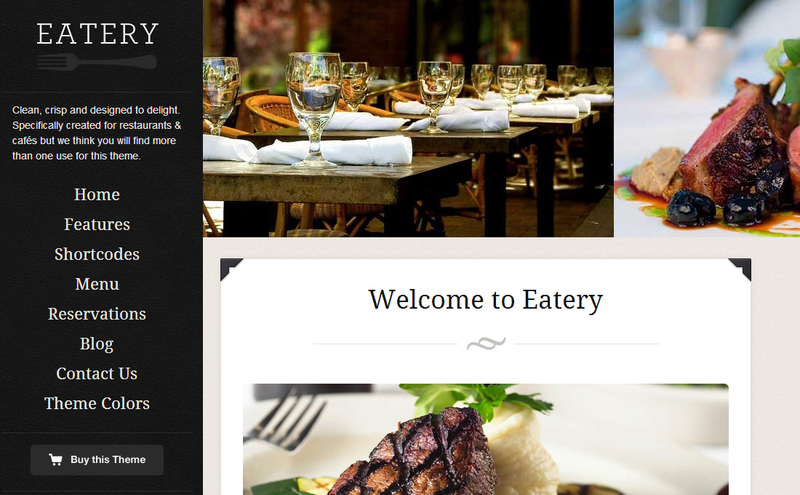 A stylish WordPress theme with a layout especially created with bars, restaurants, cafés and other food related web sites in mind. The theme comes with lots of features and options for easy tweaking. The theme also has a unique slide show. A theme with responsive layout, making it compatible with all devices mobile and otherwise. A versatile theme designed for bars and bistros. The theme comes with an easy to use control panel where aspects, like colors, text and social media functions can be changed on the fly. 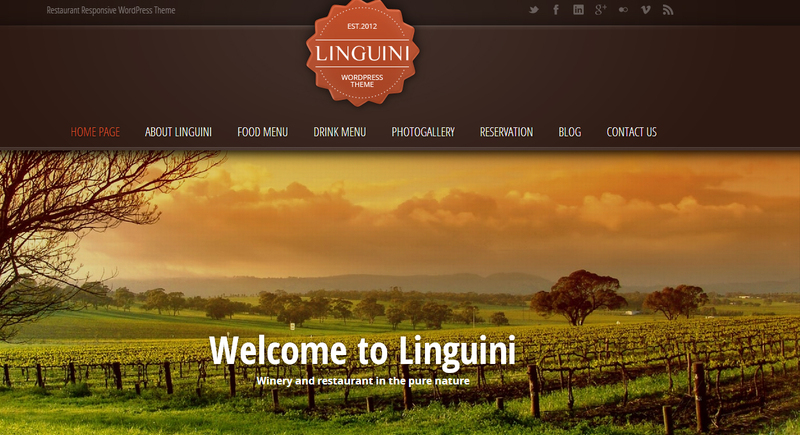 A premium theme intended for bar, café and bistro owners. The theme comes with custom menus for events, staff and changing the color scheme has been made simple through the built-in admin panel. Thanks to the responsive design this team looks great on all browsers on desktops and mobile devices alike. 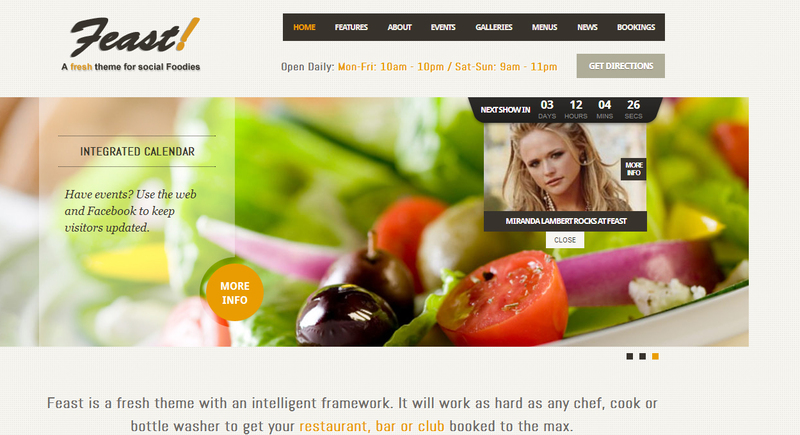 A theme designed for bar and bistro web sites, which is easy to install, tweak and adjust. The theme comes with a wide variety of features, like a stylish slider and built-in support for short codes. 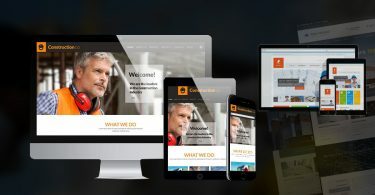 Responsive layout ensures compatibility with all devices, like desktops, tablets and smart phones. 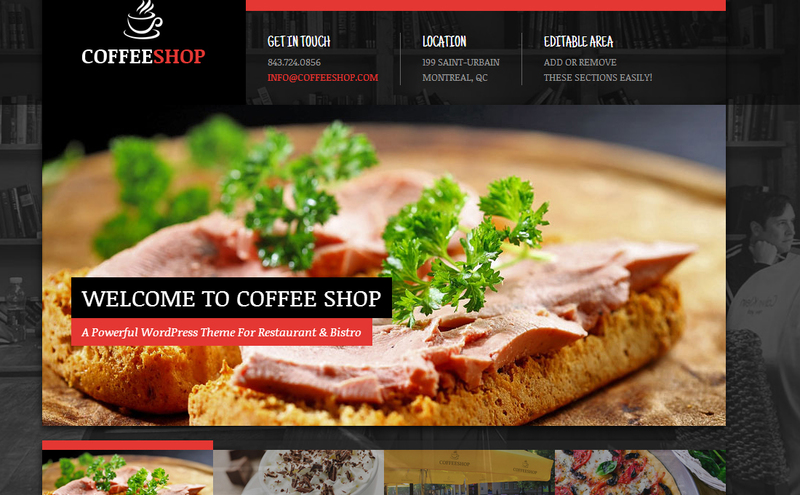 An excellent theme for cafés and restaurants. 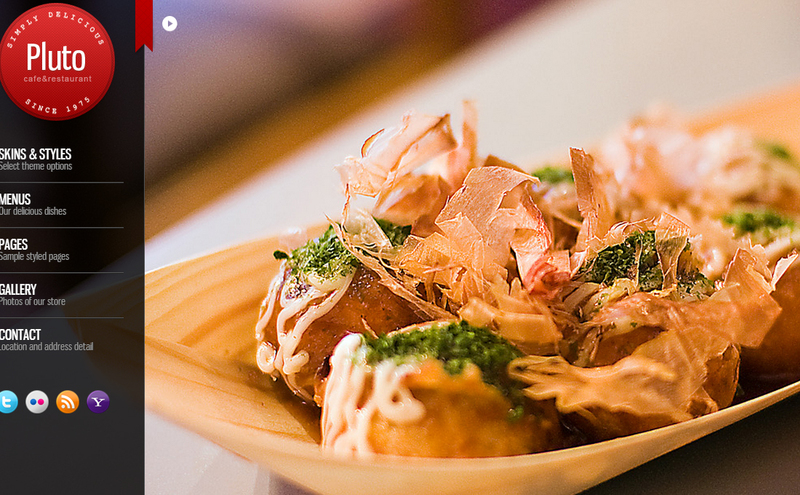 The theme comes with lots of features and options specifically targeted towards the food and drinks industry. The theme supports reservations, food menus, calendars and many more amazing functions. The theme also comes with an impressive slider where information and images can be featured. An amazing theme featuring a bookings app, with support for specials and promotions. The responsive layout ensures compatibility with all devices, like desktops, netbooks, tablets and phones. 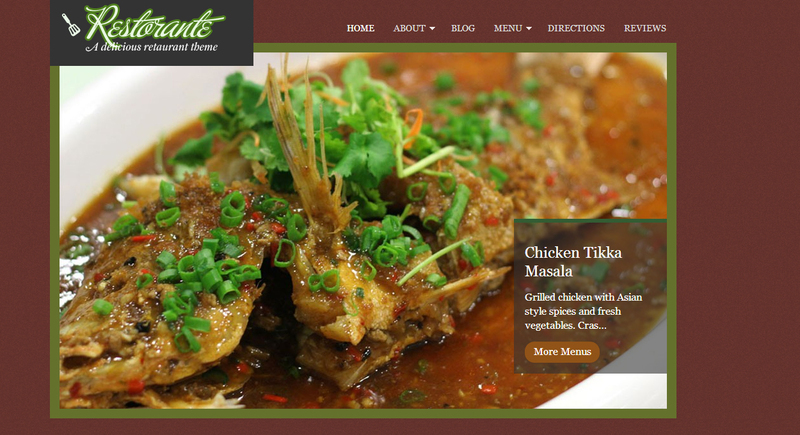 A versatile theme with lots of bells and whistles to make any bar, café or bistro web site stand out. This premium theme for bars, restaurants and cafés features a clean responsive layout, ideal for realizing a professional online presence. The theme comes complete with six stunning skins and is loaded with tools & options for easy customizing whenever you like. A powerful theme loaded with options and special features. The theme is easy to use and change without the need for programming knowledge. All changes are made simply by altering a few settings in the custom admin panel. This team is also optimized for SEO. 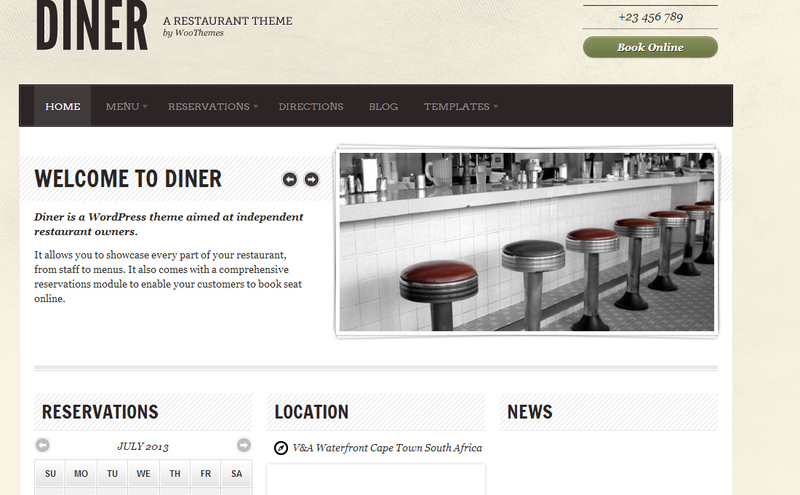 This theme is ideal for bar and restaurant owners. 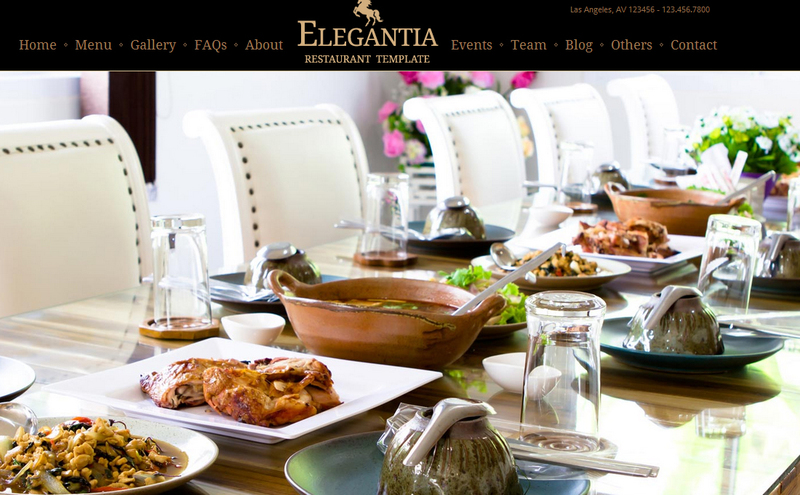 Powerful features, like showcasing the menu, event calendar and support for online reservations make this theme suitable for all intents and purposes where food and drinks related web sites are concerned. A versatile theme supporting unlimited color schemes, retina display and many more amazing features. This theme is compatible with all browsers and looks amazing on mobile devices, like tablets and smart phones.